London, 12 June 2009: Arup has returned to work on concert hall design at Snape Maltings. 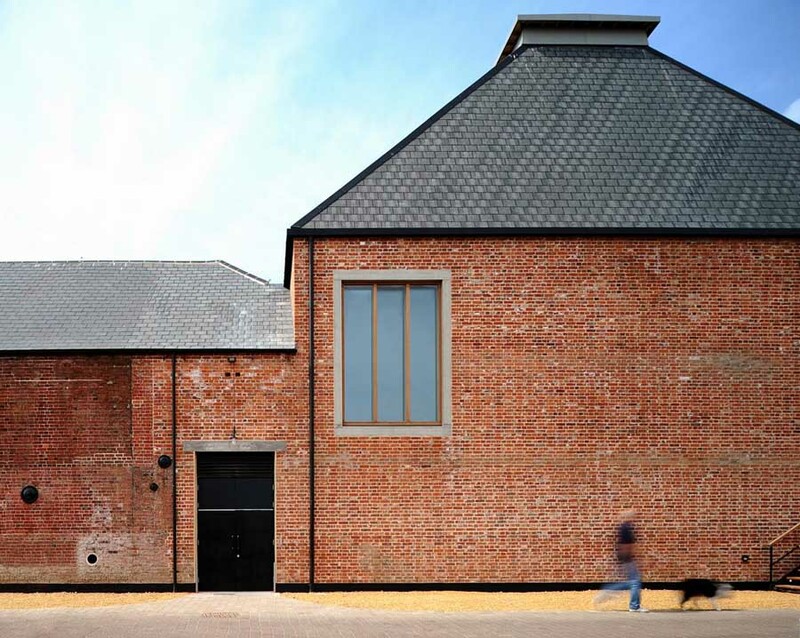 Arup Acoustics worked with architects, Haworth Tomkins, to design the new Britten Studio auditorium, which opens to the public for the Aldeburgh Music Festival on 12 June this year. The acoustic design of the original Concert Hall was carried out in the 1960s by Derek Sugden of Arup. 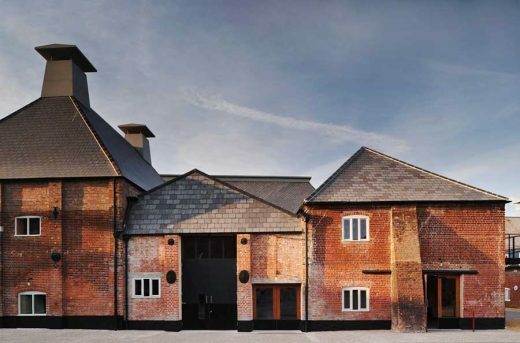 He found that roof design was key to the long reverberation time requested by English composer Benjamin Britten. A slope of 45 degrees was considered the best option and resulted in what is known in design circles as the ‘Snape Roof’. 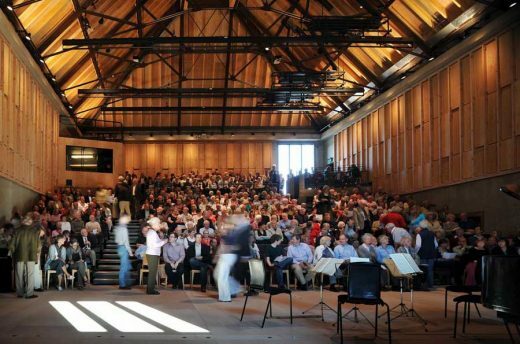 The Britten Studio is a smaller space than the Concert Hall and will accommodate mainly recitals and orchestral rehearsals. 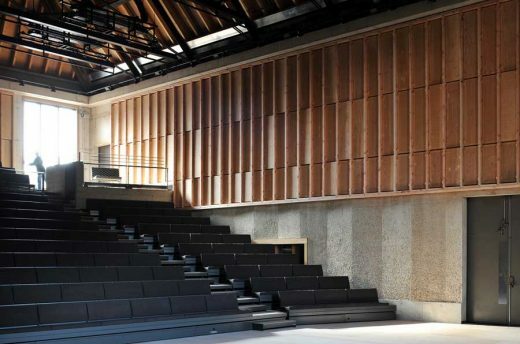 The construction of the auditorium, including the roof, is of concrete to ensure a very low background noise level so that the full dynamic range of the music can be appreciated. 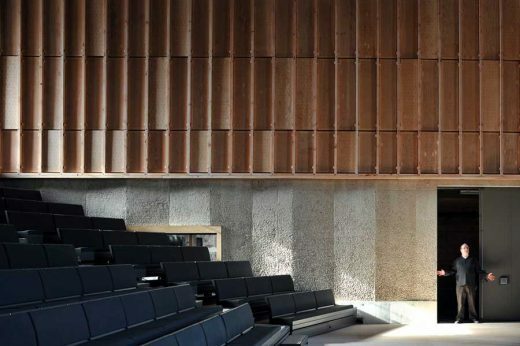 Internally, part of the concrete is clad with timber panels, acoustically tuned to cover the entire sound spectrum. 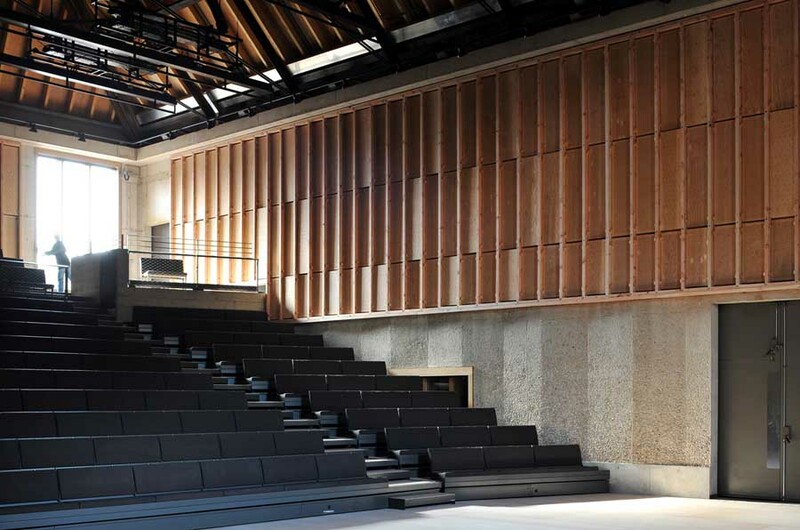 Where the concrete walls are left exposed, they are modulated to diffuse the sound, so that it is uniformly distributed over the stage and seating. 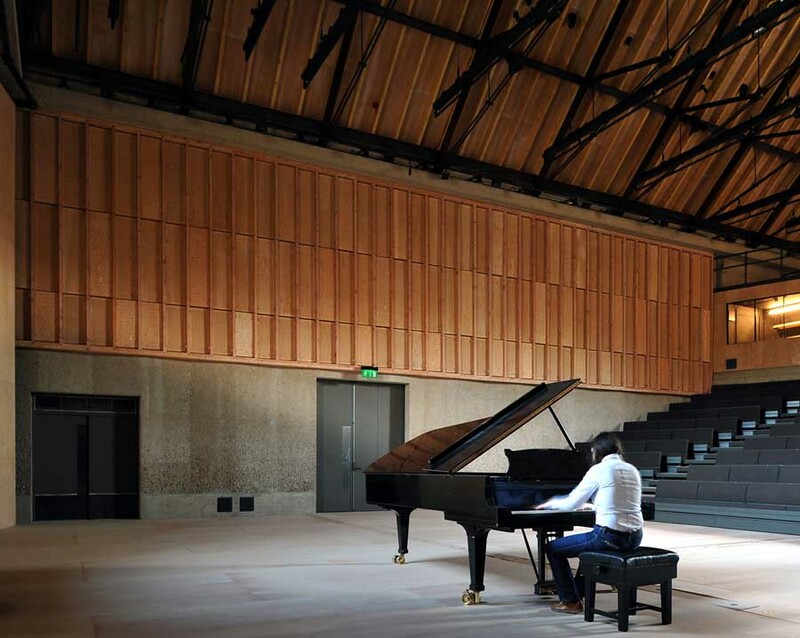 For studio orchestral rehearsals, the seating can be fully retracted to provide a large flat floor area to accommodate the orchestra. In this mode, where there is no audience, sound volume has to be controlled. This is done by dropping acoustic banners from the ceiling, and using acoustic drapes on the end walls. This versatility will allow the studio to be used for other activities, such as opera rehearsal, master-classes, amplified music and other public events. Arup Acoustics is a global consultancy with a commitment to excellence in acoustic design, research and innovation. 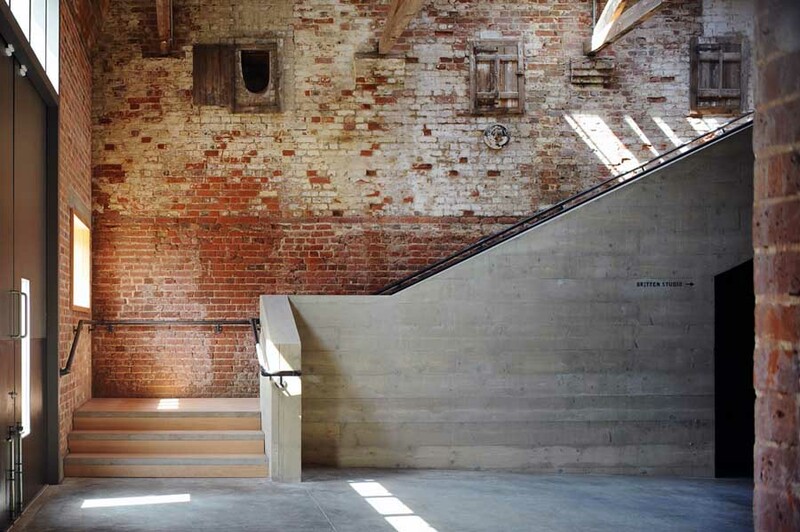 – Practical, cost effective delivery of solutions in design and construction for our clients. With Arup Acoustics offices in the Americas, Australasia, China, East Asia and Europe and multi-disciplinary Arup offices in 30 countries around the world, we are able to address local contexts and requirements as well as drawing on international expertise to provide a service unsurpassed in our field. Arup is the global firm of designers, engineers and business consultants providing a diverse range of professional services to clients around the world. The firm is the creative and inspirational force behind many of the world’s most innovative and sustainable building, transport and civil engineering projects. Arup provides its clients with the brightest minds who provide extraordinary business advice and creative solutions for the built environment. Established in 1946, Arup has over 10,000 employees, based in more than 90 offices across more than 35 countries, working on up to 10,000 projects at any one time. 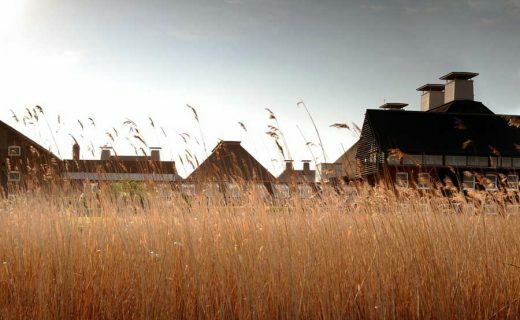 Its unique structure, with the firm held in trust on behalf of its employees, gives Arup complete independence. Arup’s multi-disciplinary approach means that any given project may involve people from any or all of the sectors or regions in which it operates. Its aim is to achieve excellence in all it does by bringing together the best professionals in the world to meet clients’ needs.